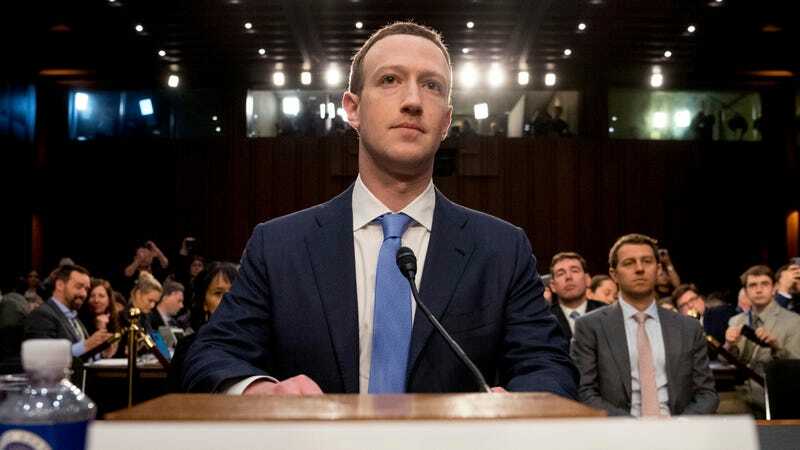 Mark Zuckerberg testifying before Congress in 2018. Amid the constant scandals swirling around social media giant Facebook and its questionable handling of user data, at least six state attorneys general have launched their own investigations of the company, Bloomberg reported this week. Two distinct groups have formed, according to Bloomberg’s report: Pennsylvania and Illinois have joined Connecticut in an investigation of “existing allegations,” though the report does not mention what those are. Officials in New York, New Jersey, and Massachusetts, “which were already known to be probing Facebook, are seeking to uncover any potential unknown violations,” a source told the news agency. Bloomberg reported that a Facebook vice president of public policy, Will Castleberry, spun the news as the attorneys general just wanting to help Facebook out by suggesting new privacy initiatives or something. However, states attorneys general are frequently involved in investigations of corporate misconduct and, as Bloomberg noted, occasionally team up on inquiries over behavior “that’s national in scope, sometimes in tandem with the Justice Department.” In other words, this is not good for Facebook, which has faced numerous controversies over its handling of user data and business practices—most recently with reports that it paid people as young as 13 to install powerful monitoring software on their phones and allowed children to rack up game charges without their parents’ consent, but also throughout all of 2018, like the infamous Cambridge Analytica data-mining scandal. Facebook is already facing an investigation into whether it misled users, investors, or federal officials about Cambridge Analytica, a shady data-mining firm which prior versions of Facebook’s development API allowed to run off with extensive data on tens of millions of users (and worked for Donald Trump’s presidential campaign). That investigation reportedly involves the Department of Justice, FBI, Securities and Exchange Commission, and the Federal Trade Commission, the last of which was recently rumored to be mulling the possibility of levying a massive fine. Facebook was found liable for a paltry fine in the UK over the matter. But in December 2018 members of Parliament working on an ongoing inquiry into disinformation and “fake news” released a trove of internal Facebook documents, some of which revealed embarrassing information about its data-harvesting practices and others which may worsen its stateside troubles with the FTC. Since the passage of Europe’s sweeping General Data Protection Regulation, future such breaches of user day can be penalized much more harshly. But Facebook CEO Mark Zuckerberg recently explained that all of the company’s plummeting user trust boiled down to people being “distrustful of systems [they] don’t understand.” Guess there’s nothing to worry about because Facebook has nothing to hide, right? And the attorneys generals are just making some helpful suggestions.